AUSTIN, TX (1.17.17) – Huston-Tillotson University is pleased to announce an upcoming lecture by Dr. Asante Todd, Assistant Professor of Christian Ethics at Austin Presbyterian Theological Seminary. 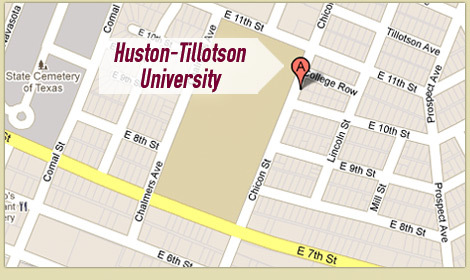 Dr. Todd’s lecture, entitled “Undeterred from Destiny: To the Children of Ethiopia and the Chosen Peoples of the Metropolis,” will take place on the Huston-Tillotson University campus, Thursday, January 26, at 2 p.m., in the Agard-Lovinggood Auditorium. In the nineteenth century context of racist oppression, many suffering blacks began to ask and answer questions about their identity, meaning and purpose in the world. This lecture explores two popular themes that circulated within African American culture – “The Children of Ethiopia” and “The Chosen Peoples of the Metropolis”. These served to reconstitute black identity in ways that restored a collective sense of self, allowed for a reinterpretation of the world, and thus provided the conditions for the possibility of renewed relationship and action with self as well as local, national and/or global others. As the Assistant Professor of Christian Ethics at Austin Presbyterian Theological Seminary, Dr. Todd’s general area of research is in religion and politics with special attention to African American political theology. His dissertation research focused on the question of sovereignty, and his current research explores questions around religion and American public life, African American religious ethics, and justice. Prior to his doctoral studies, Todd served in various aspects of public life, including the Texas State Legislature, the Urban League, and as a youth minister in the Baptist denomination. Next Thursday’s event is free, and open to the public.